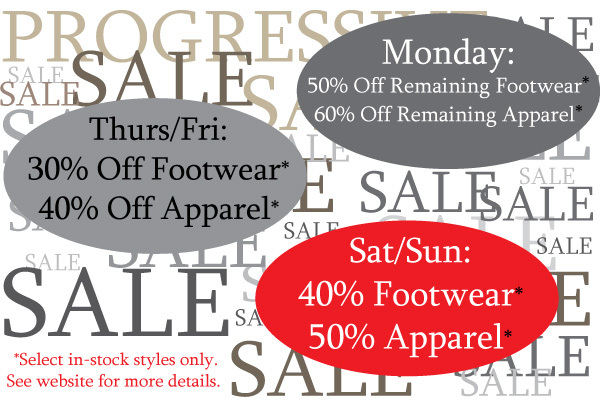 Time for our 1st Annual February Progressive Sale! Beginning on Thursday, 2/23/17, the deals will be climbing from 30 to 60 percent off MSRP! But remember, even though the discounts get bigger with every day you wait, the selection gets smaller! Come in before your favorites disappear! 50% Off remaining select footwear on Monday. 60% Off remaining select apparel on Monday.